Now we don’t usually subscribe to tinfoil hat conspiracies, yet Michael’s theory on its surface appears more sound than most. Is this fan theory legit? Does Robert Patrick’s wife Barbara already know what Skydance’s big announcement is going to be (because it’s about her husband joining the cast) and that is why she liked the tweet? Or is this just simply Barbara supporting a tweet about a new Terminator film? Either way, we will all find out soon enough. Thanks again to Michael for sharing his theory! Previous Post“T2029” the Proposed “TERMINATOR 2” Board Game has been Cancelled.Next Post“TERMINATOR 6” begins filming late March 2018 in Budapest, Hungary and Spain! This is my theory folks! Nicely done! I do think you are on to something! 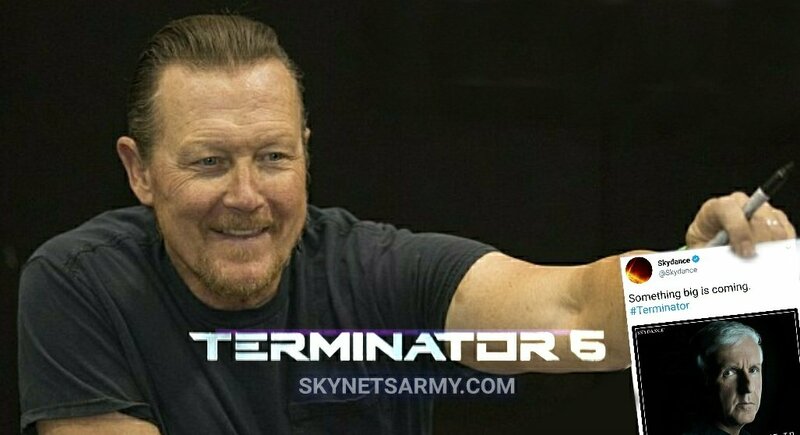 I don’t need about Robert Patrick again! Because same and same, he is end. He can back T6 as Cameo. T-800 VS new evil machine.